Golfer’s elbow is medically known as medial epicondylitis, one of the most frequent sports injuries experienced often by golfers. Golfers elbow is an inflammation of the muscles and tendons of the inside of the forearm. Repeated twisting of the wrist or frequent over rotation, over-gripping of the forearm can lead to a painful and weak grip, elbow nerve pain, and damage to the co-joined tendons that connect to the humerus bone of the upper arm that runs from the inside of the elbow towards the little fingers. Golfers elbow symptoms often start with twinges around the bone that’s on the outside of the elbow if touched it will kind of feel bruised like you have knocked your arm. Repetitive strains, gripping hard, playing golf, weights etc may cause small microscopic tears in the muscle and cause a swelling of the flat tendon that attaches the muscle to the bone. Pain may be instant or come on slowly over months. 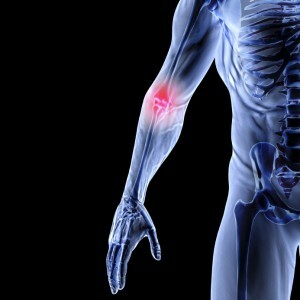 Another common example is elbow swelling and sharp pain that shoots down your forearm or hand and little fingers. Research suggests that acupuncture comes out on top for many golf and sporting injuries. Acupuncture not only relieves the pain but also appears to resolve the condition completely. Acupuncture works by stimulating the release of pain killing hormones, improving local blood supply and increasing production of your bodies own corticosteroid. Acupuncture is an extremely powerful tool for pain that has “just happened” or that wont resolve with traditional therapies. Traditional therapies tend to be physiotherapy, Osteopathy, steroid injections, supports, Ibuprofen, Ice or heat, topical medications and rest all of these can be effective. Acupuncture treatment can immediately loosens the tight muscles around the elbow joint and is so useful if a competition is coming up or you just don’t want to spend weeks resting your arm. Our acupuncturist have spent five years training and have worked for many years with these types of conditions. In acupuncture the two main causes of tennis elbow pain is excess or deficiency and they adjust your treatment accordingly. Excess pain presents as a throbbing or stabbing local pain with much inflammation. After treatment the joint may even feel warm to the touch as compared to other areas of the body. Deficiency pain is more of a constant dull achy feeling, often due to overuse and undernourishment due to body reflexes altering local blood supply. Remember to drink lots of water and keep your sugar intake lowish if you can. Sugar is probably worse than fat ( i know, i know !!) as it increases the risk of arthritis and diabetes over time. Supplements such as glucosamine, chondroitin and calcium can play a role in preventing joint pain. There are other products and supplements that can help further (email me for details) Other similar problems, such as frozen shoulder, carpal tunnel, arthritis, tendonitis, tennis elbow and bursitis, can also be successfully treatment with acupuncture at The Welwyn and Hatfield practice, 6 Ground Lane, Hatfield, Hertfordshire. Your Welcome to The Welwyn and Hatfield Physiotherapy Practice any time. We do some great treatments for sports injuries. Really liked what you had to say in your post, Get a Grip – Golfers Elbow Facts and Features | Welwyn & Hatfield Physiotherapy Practice, thanks for the good read! WOW! Great shots what a great setting too! I’ve seen a lot of wieddng photography over the years but your stuff is fantastic and just that little bit different, very artistic! My website is 'Neck Pain Relief".